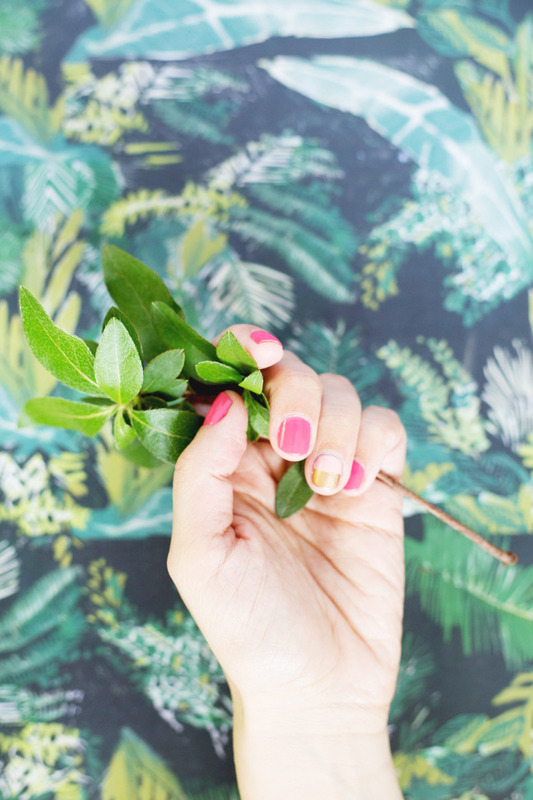 I know you’ve been seeing the crazy nail art trend that’s all over the place these days! I think it’s pretty fun, but I also think that some of the designs we’re seeing are either way over the top or just not easy enough to DIY. 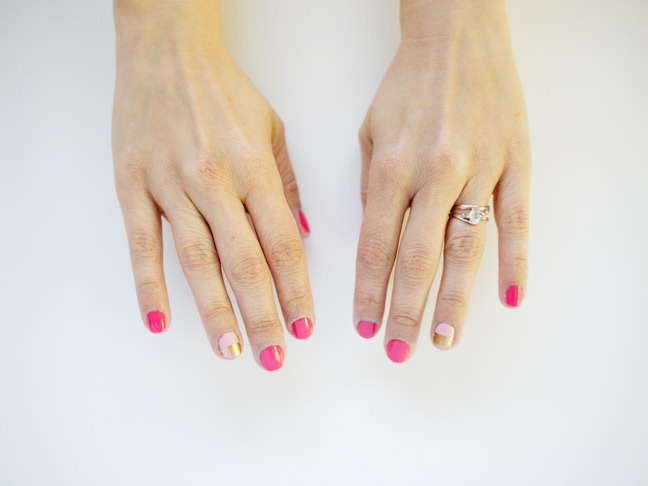 So here’s a quick and simple way to dip your toe into the crazy mani pool, without much commitment. 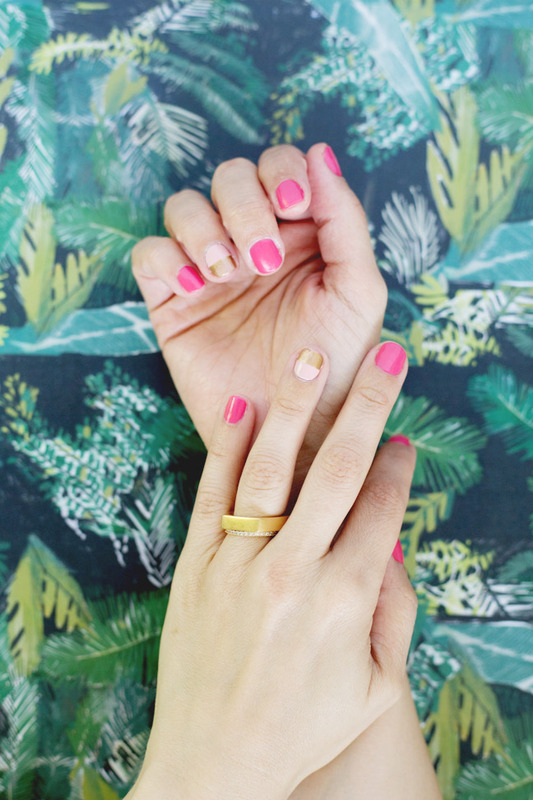 And bonus—you can wear this gilded manicure to work and not get the side-eye from your boss. Here’s how ya do it! Step 1: Trim and file your nails to your desired length. With a statement mani, I like to keep mine pretty short. Paint your two ring finger nails with an accent color, and the rest of your nails with another color of your choice. 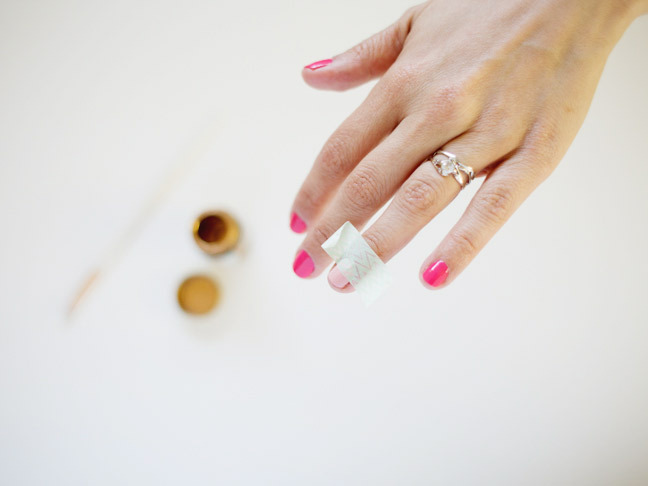 Step 2: Allow your nails to dry completely (don’t skimp on drying time!). 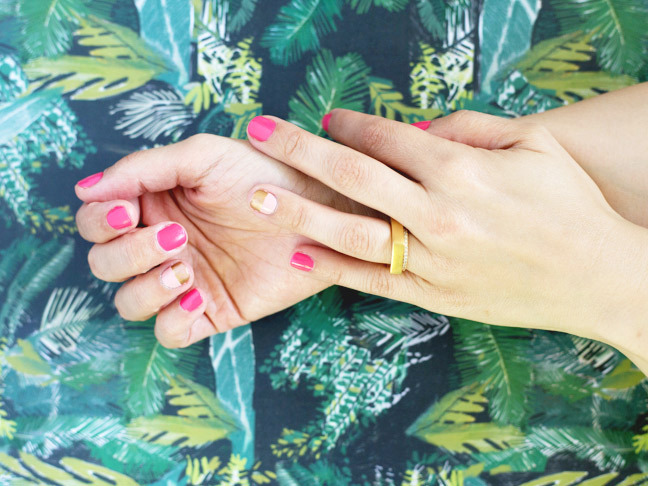 On your ring fingers, place a small piece of washi tape so that it creates a border halfway up the nailbed. Step 3: Over the washi tape, carefullly paint on a layer of liquid gilding. 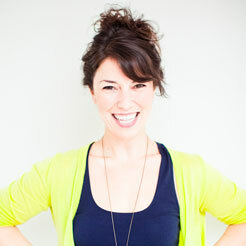 Remove the washi tape immediately. Step 4: Let the liquid gilding dry completely. Paint a layer of clear polish over each nail and let it set. 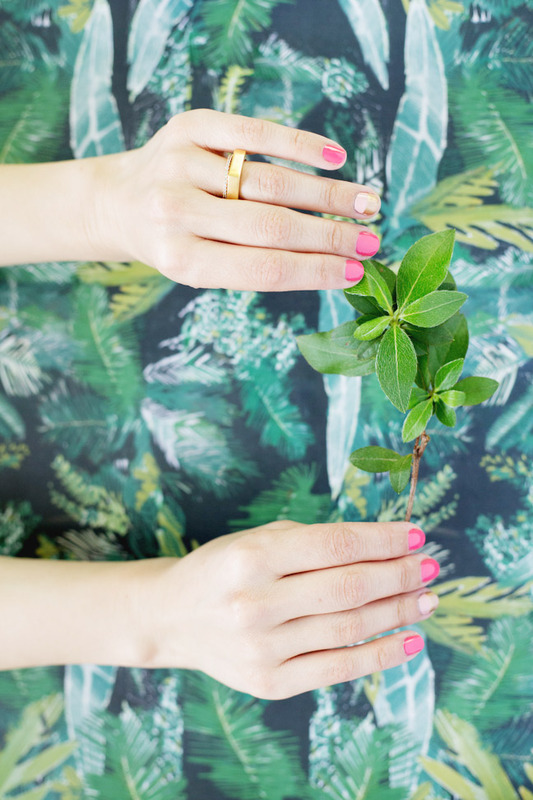 Step 5: Rock out your springy new mani! Fall Nail Trends 2014: Black? White? Or Both?